A gentle hands-on-treatment, Craniosacral Therapy (CST) is used to balance the craniosacral rhythm and release the tensions in the body thereby relieving pain and facilitating complete body healing. Dating back to the 19th century, this modality has its roots in Andrew Taylor Still’s system of osteopathic medicine and owes a lot to subsequent pioneers of the technique such as William G Sutherland who extended Stills’ system into cranial osteopathy. This was further refined and codified by Harold Magoun in the 1950’s and taught by him to Dr John E Upledger in the late 60’s, from Michigan State University, Florida who further propagated Craniosacral Therapy. ​The craniosacral system consists of seven cranial bones, the spinal cord, vertebrae, sacrum, coccyx, dura mater and cerebrospinal fluid. Any impediment to these structures leads to restriction of the craniosacral system thereby causing various dysfunctions in the body. The pulsating of the craniosacral system at a rhythm of six to 12 cycles per minute forms the basis of this treatment. The rhythm conveys a lot about the bodily functions. If the rhythm is of a very weak amplitude then it may mean low vitality whereas if the rhythm is restricted on one side it might indicate some restriction on that particular side of the body. A therapist restores the rhythm with a very gentle touch. 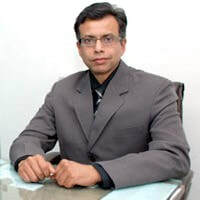 Dr Sandeep Bhasin is a Cosmetic Surgeon, with deep interest in Body Mind Medicine. He has been trained in Biomechanical Cranio Sacral and 2 years Biodynamic Craniosacral Therapy training. He is conducting regular workshops in Cranio Sacral Balancing and Trauma Release.